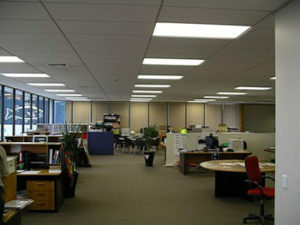 Improve Employee Productivity with Lighting! Productivity in the workplace can be affected by many things, but one factor employers may overlook is the significant role of lighting. Lighting can affect mood, productivity, alertness, creativity, and even our circadian rhythms. It appears lighting can also have an impact on an employee’s satisfaction. One study conducted by the American Society of Interior Design revealed that 68 percent of employees complain about the lighting situation in their offices. With such a significant complaint percentage, it would behoove businesses to review their current lighting situation. How can companies design workspaces to achieve optimal lighting for productivity, mood, and creativity? One option is to have lighting controls at individual workstations. It seems that control over one’s environment helps employees feel better and produce more. It allows employees to create the atmosphere they feel they need to work effectively. A more significant factor influencing the workplace is the color temperature of the light source. Temperature of light, measured in Kelvin (K), is a numerical measurement of the color that’s emitted when an object is heated in increasingly higher temperatures. As the temperature increases, the object changes colors and emits certain colors of light. For instance, higher color temperatures (4,600K or more) appear blue-white and are called cool or daylight colors. Mid-range color temperatures (3,100K – 4,600K) appear cool white. Lower color temperatures (up to 3,000K) range from red to yellowish-white in tone and are called warm colors. Use warm lighting in intimate settings or break rooms to produce a cozy, inviting feel. Use cool white lighting in conference rooms, as this produces a welcoming feel, but still cool enough to keep everyone alert. Use cool lighting in brainstorming rooms. Cool lighting has been shown to improve alertness, mood, and productivity. 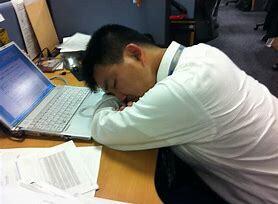 It lowers melatonin and reduces fatigue. Based on the above information, cooler light is the most beneficial for the work setting. However, if you can add natural sunlight, with skylight and/or windows, it would add even more benefits to employee health. Natural light has been found to decrease depression, improve mood, energy and alertness. Spending some time designing your workplace environment around lighting can help the business’s bottom line by increasing employee performance, mood, and creativity—a win-win for both employers and employees! If you need assistance with your lighting design and/or installation, Trademark Electric, Inc. would be happy to provide your lighting solutions. Contact us at 816-442-8101 today!